“Who is your style icon?” is a question I’m most asked in interviews. Truth is, I don’t have a style icon, a current or former celebrity whose style influences what I wear. I’m more influenced by what the people around me are wearing – my girlfriends and the everyday women I follow through the #everydaystyle hashtag on Instagram. The below list of nine Instagrammers to follow for everyday style inspiration is by no means an exhaustive list (it’s like choosing a favourite child – you just shouldn’t do it!). I’ve chosen these women for today’s post because they each offer something a little different from the other. In coming months, I’ll also feature more of the real women from #everydaystyle (read on for how you could be featured … and win just by sharing your outfits). Check out each of these women, click on their Instagram handle to follow for daily everyday style inspiration. 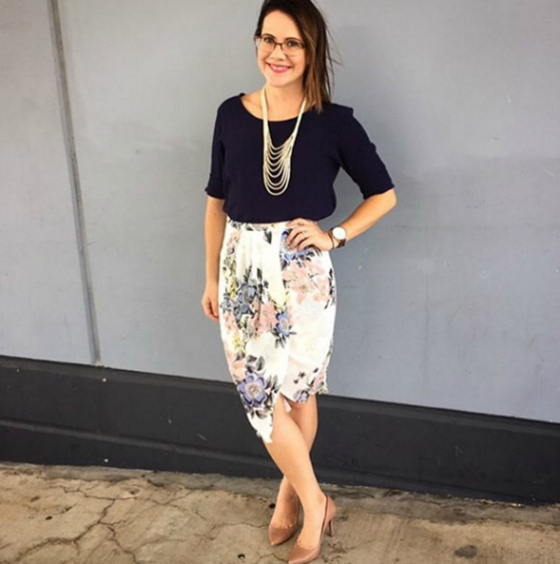 @redcliffestyle: Rachel is pioneering #carparkchic with her office wear style shots photographed on location before she heads to the office. 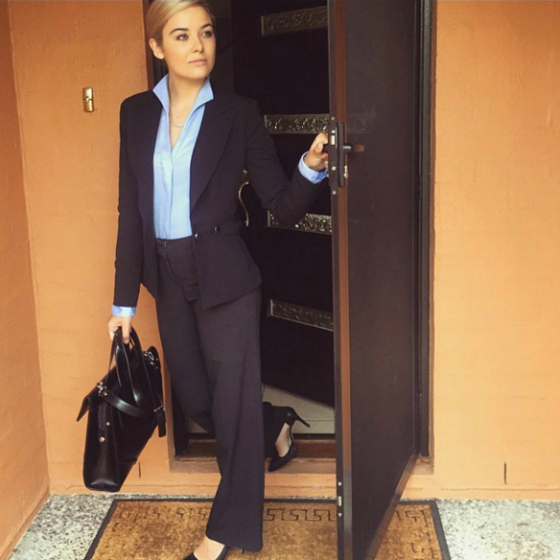 She rocks a heel and isn’t afraid to shake up our notion of traditional work wear. @twocorporategirls: Fresh to the #everydaystyle feed and into the corporate world is the gorgeous duo of Sophie (pictured) and Beckie (daughter of @irismaystyle). If your 9-5 is all about the corporate, then you’ll be inspired by their stunning minimalist styling. 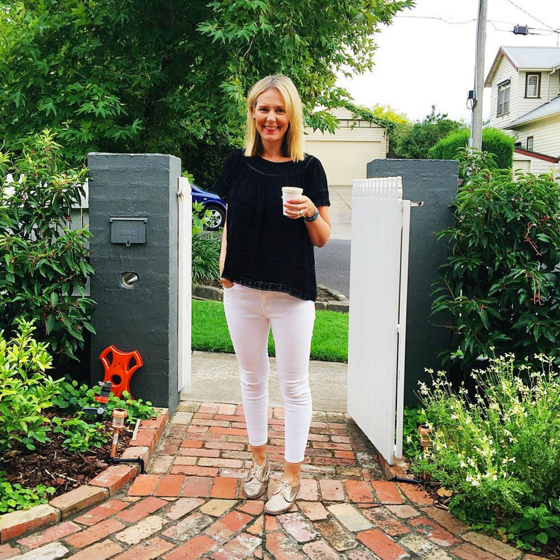 @styleandshenanigans: Vanessa is a super stylish mum of three who openly poo poos the myth that all Melbournites wear only black. She LOVES and embraces colour and pattern and is always in the know when there is a new offering or sale at Gorman. @sugercoatit: Melissa is a talented chick from regional Queensland. She’s oozes confidence in her personal style and inspires others to feel the same. 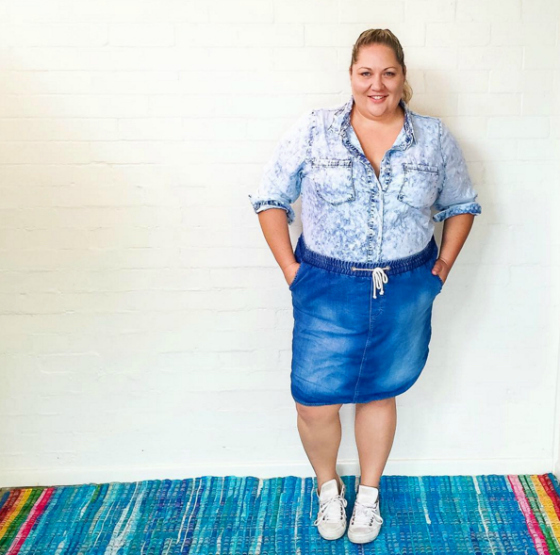 Whether it’s a casual or office look, she dispels the notion that plus-size clothing options shouldn’t be fitted. 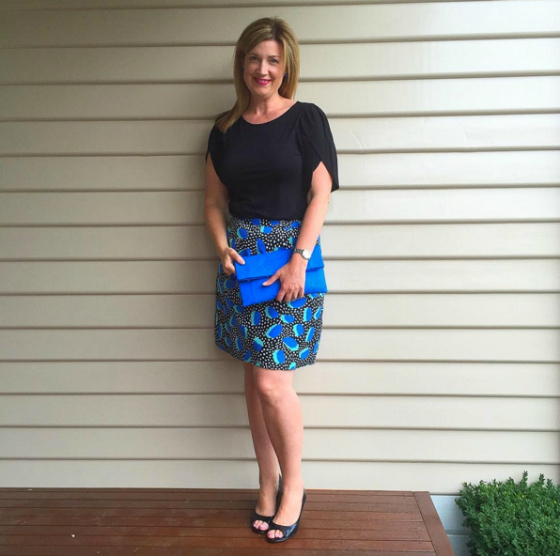 @ilovethatskirt: Bec is a health professional by day with an enviable wardrobe that this year she’s in the process of re-discovering in the attempt to break a self-confessed shopping addiction. She does rock a skirt but she also rocks a dress and pants outfit. Every time. 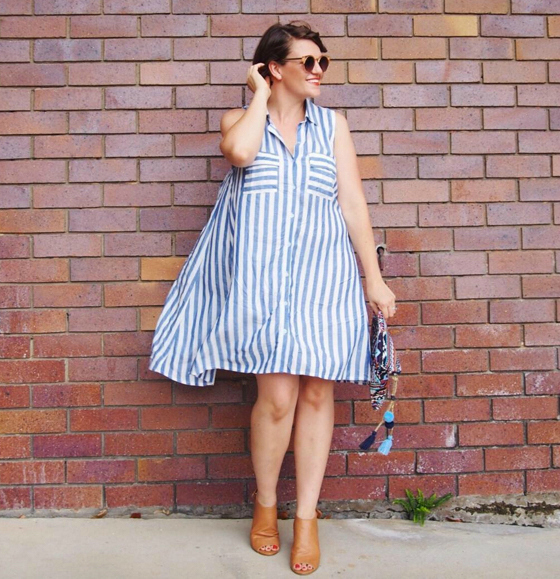 @prettychuffed: Jasmine is a young mum who defies sleep deprivation, gets up, gets dressed and throws on a pair of sunnies and shares her style with a smile. At the moment it’s all about breastfeeding friendly outfits. @robynamummyandminx: Robyna is an incredibly talented sewer, making many of the pieces she features in her everyday style. As someone who hasn’t touched a sewing machine in 30 years, this blows me away. @colourmeanna: Anna always makes me smile with her style. Whether it’s a date night or a morning at kids’ sport, she gives us a wonderful glimpse into her “classic with a twist” wardrobe. 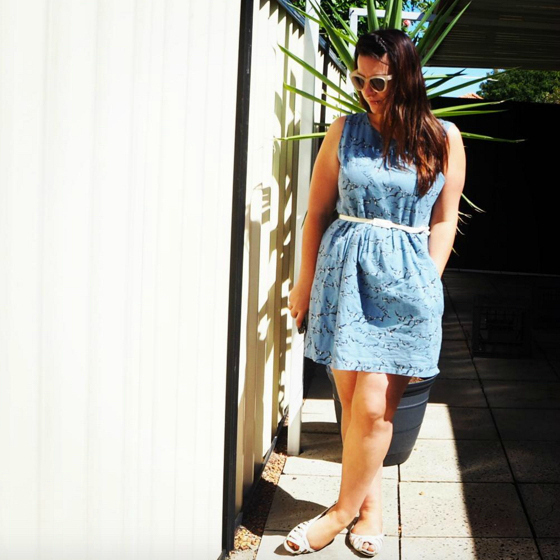 @theillusivefemme: Perth blogger Em has budget and op shop fashion style nailed. My favourites come from her fabulous collection of cute, waisted frocks. Starting this month – and every month – I’m giving away a $100 gift card to help freshen up your wardrobe. This month you could win a $100 gift card from Birdsnest. Each month, I’ll propose a different wardrobe theme for you to consider incorporating into your #everydaystyle outfit planning. Each day that you incorporate that theme, simply upload your photo as you would normally, using the #everydaystyle hashtag. To be in the running for the prize, you just need to add the specific hashtag for each month’s theme. You can enter as many times as you like. This month’s theme is: how to dress when the heat is on. 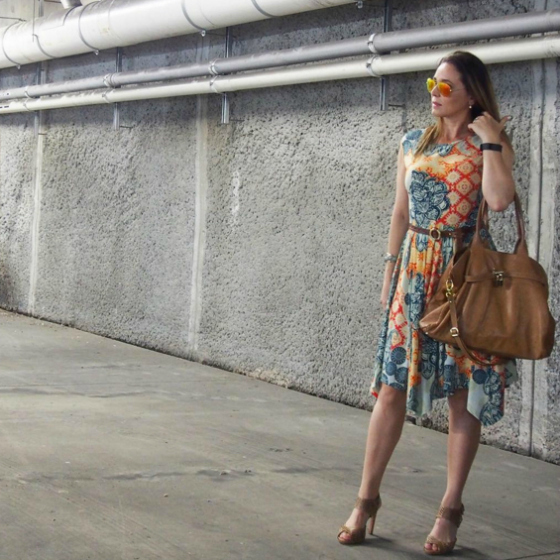 Your outfit photo could be featured here on the blog with a link back to your Instagram page. Entries close February 29, 2016. If you’re reading this and you join in with the #everydaystyle hashtag on Instagram, then I’d love you to please sign up to this email list. I’m so grateful for your participation in this community which I started just over two years ago, that I’d love to be able to share exclusive events, prizes and offers with you. I promise you won’t be spammed. You’ll only receive information for the #everydaystyle community. For possible event invites, it’s also important that you indicate your nearest capital city. Who inspires your style and why? 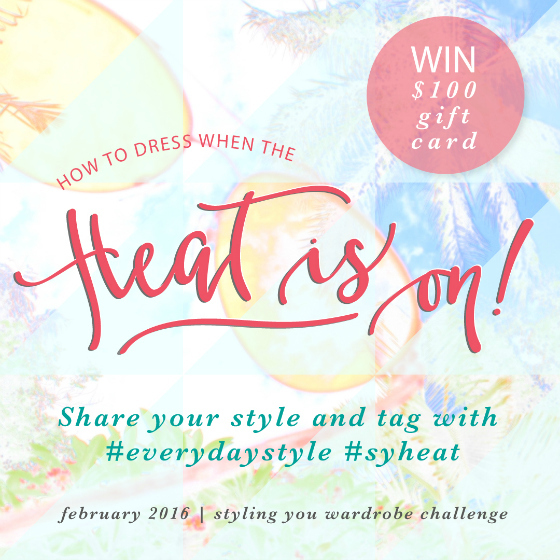 Keen to join in #everydaystyle and offer your inspiration to the world? It really does inspire us all, seeing such a range of different styles. Am most definitely a fan of Rach and Melissa! 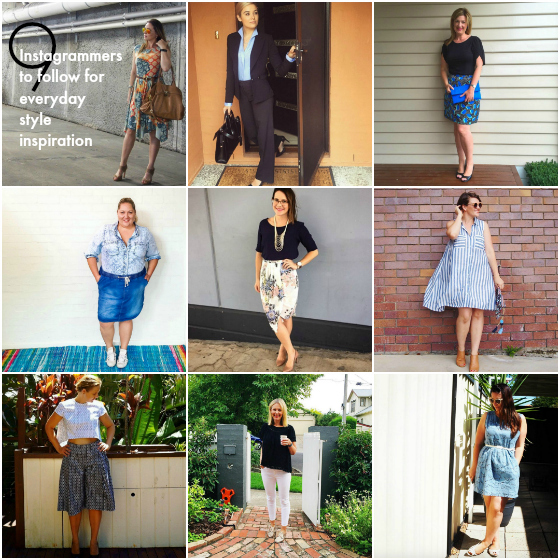 I really love the Instagram account of @timeless_styling! And almost everything from White Label Noba! All of these gorgeous women inspire me daily! There’s so many stylish women on IG, I love the diversity. You’re very welcome Shauna … and I can think of others for you to check out @emhawkerblog and @styled_by_bec for starters! I already follow a number of these ladies. I’m inspired by YOU and all of them, as well as a lady who buys coffee in my building and has a great way with scarves, and all the residents of Sodermalm in Stockholm who seemed to master understated style while rocking flats that enabled them to stride out or ride with ease. Given I change up my style from one day to the next I really do need inspiration from all the real women leading real lives (getting to work, fitting in exercise, travelling for work), rather than someone travelling by taxi and limo to attend red carpet events.If only…. lovely everyday stylers! … it’s a good community here! … thankyou nikki! I am inspired from anywhere and everywhere! You’re very welcome Jan – thanks for sharing your thoughts and keep sharing your #everydaystyle … hope you join in the challenge!